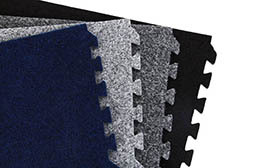 5/8" thick soft tiles provide a medium thickness interlocking foam floor tile solution. 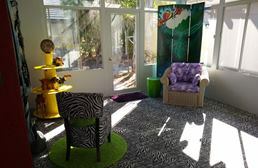 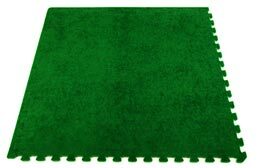 5/8" thick tiles are available in reversible colors, wood pattern foam tiles, and durable foam backed carpet tiles. 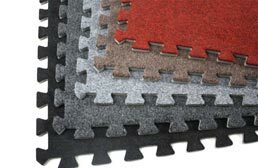 All of these soft foam puzzle mat options have been used for many purposes. 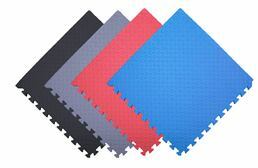 The most common ways that 5/8" EVA foam tiles are used is as portable exercise floor mats or foam gym flooring, as comfort mats or trade show flooring, and as a soft flooring solution designed for use in play areas for children.